Wire length 20cm. 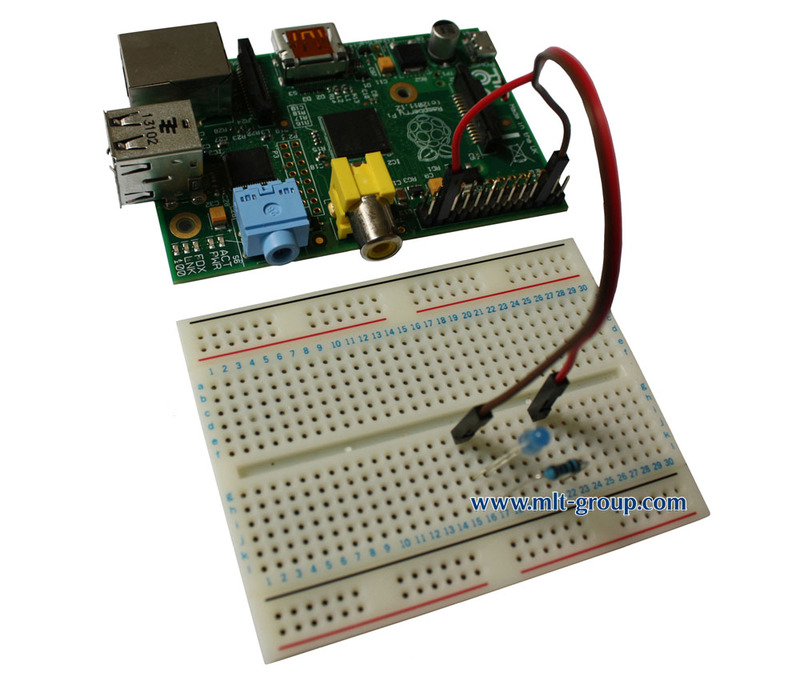 Wire with 1p-1p pin header. 2.54mm pitch size. 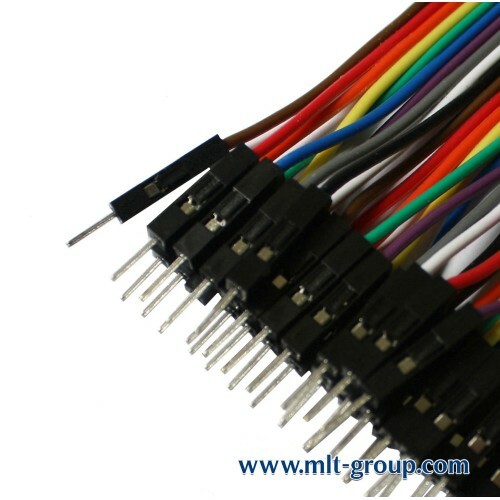 40pcs means 1pcs wires which show in the above picture (The jumper wire in the above picture is with 40 1p-1p wires). Total is 1x40= 40 1p-1p wires. 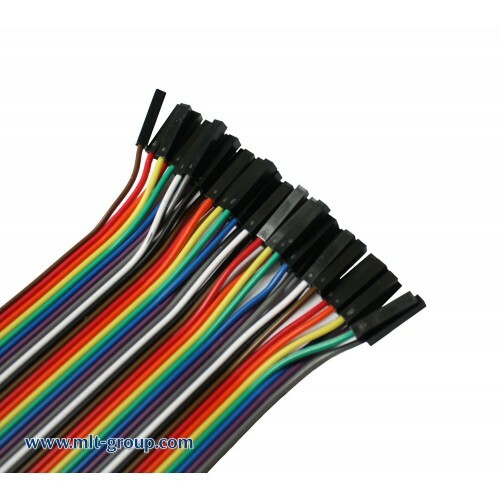 Quality 40 premium Male To Female 20cm jumper wires in a single unit. They come in very handy with modules that have male headers. 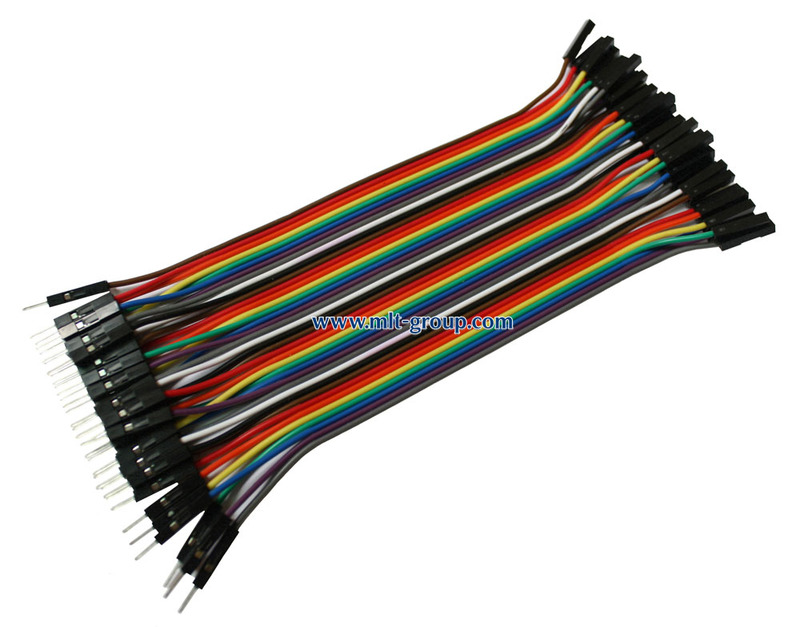 These wires are particularly useful for Raspberry Pi because of the its male GPIO pins. They also work well if you have to extend a Male To Male wire. The wires being bound together gives you the option to peel off single ones as you need them or to create custom sized wire assemblies. If you need 6 wire bundle you can peel off those 6 and they will stay together and keep your circuit nice and tidy. The colors alternate every 10 wires so its easy to follow where each wire begins and ends. 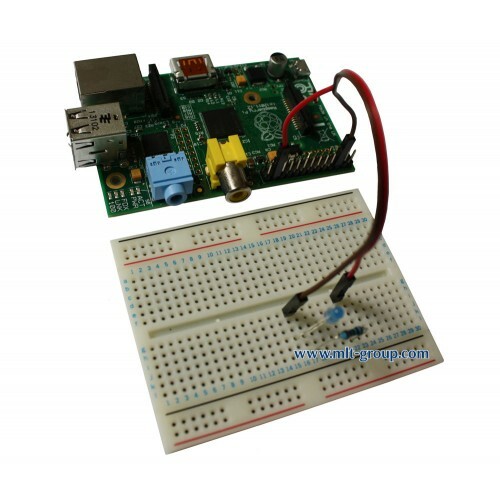 The pin housings are 2.54mm (0.1in) standard width so they line up neatly on your Raspberry Pi pin headers, your breadboard, and anything else that matches the standard.